I am so sad to see the week of crockpot cooking come to an end. : ( Cooking in the crockpot is so easy and efficient. It does require some planning since most recipes take at least 5-7 hours to cook. But if you plan out your weeks menu on Sunday and do all of your ‘prep work’ for each recipe (the chopping, the measuring, etc.) and store everything in the fridge then the morning you plan on making that meal you just dump everything in the crockpot and you are good to go with dinner waiting for you already made when you get home from a long day. I mean you still need a little bit of time to allow a couple of hours of cook time, but 2 hours is nothing. You could go for a run, or make a rockin’ dessert, or do a couple of loads of laundry, or make some bread that requires rising… Today’s dinner is one that can be made in the crock pot in 2 hours and it’s… fish. You might be a little skeptical about cooking fish in the crockpot like I was at first. Actually I wasn’t even going to make this recipe because I thought that cooking fish in the crockpot sounded too weird. But then when I saw that it was cooked in foil packets over on the low setting it sounded better. And then I read the ingredients and was a little worried again: mayo, parmesan cheese, and lime juice. How on earth could this be good. But I decided to go for it. I mean I thought the Buffalo Chicken Lasagna sounded strange but it was fantastic! This tilapia was good but it was not my favorite of the week. I am still not sure 100% how I feel about this one. It WAS good and I did clean my plate, but will I make it again? I will probably make it one more time to try it again to get a firmer answer on this. I am sorry I couldn’t be more helpful on my ‘verdict’ of this recipe. Like I said good but next time I make tilapia this will probably not be the first recipe I think of to make. Notes: I added onion to mine and I loved this addition. I was disappointed that there was not more onion because I enjoyed it with every bite. 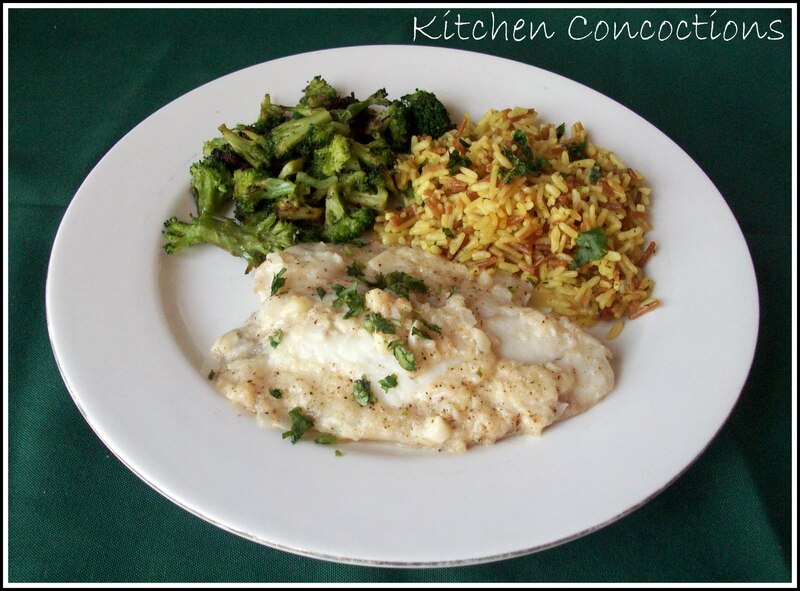 Cook on LOW for 2-4 hours; fish should flake easily with a fork when done. PLEASE take care when taking the packet out of the crockpot and when opening it. It will be hot.